Attention, Cadets! 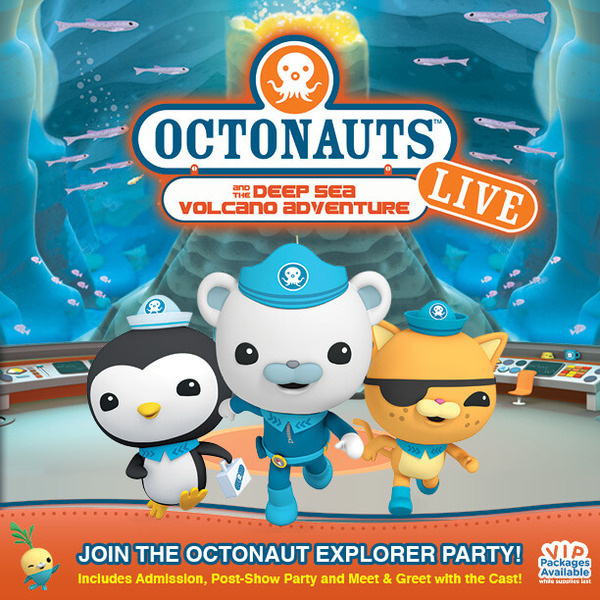 Join Barnacles, Kwasii, Peso, Professsor Inkling, Dr Shellington, Tweak, Dashi and Tunip at a post-show Octopod Explorer Party when Octonauts Live comes to town this year! The party includes a Meet & Greet and photo with the cast, plus an interactive photo booth, snacks, and activities for the whole family! CLICK HERE to learn how YOU can attend an Explorer Party this year!